Bloomsbury USA Childrens, 9781599901077, 40pp. Because after all, the things that make you different also make you YOU. From acclaimed actress Julianne Moore and award-winning illustrator LeUyen Pham comes a delightful story of a little girl who's different ... just like everybody else. JULIANNE MOORE is a four-time Academy Award-nominated actress. 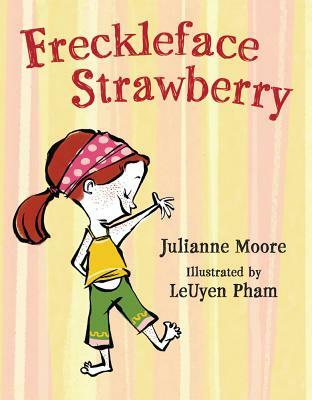 Freckleface Strawberry is her first children’s book. Ms. Moore lives with her husband and two children in New York City.